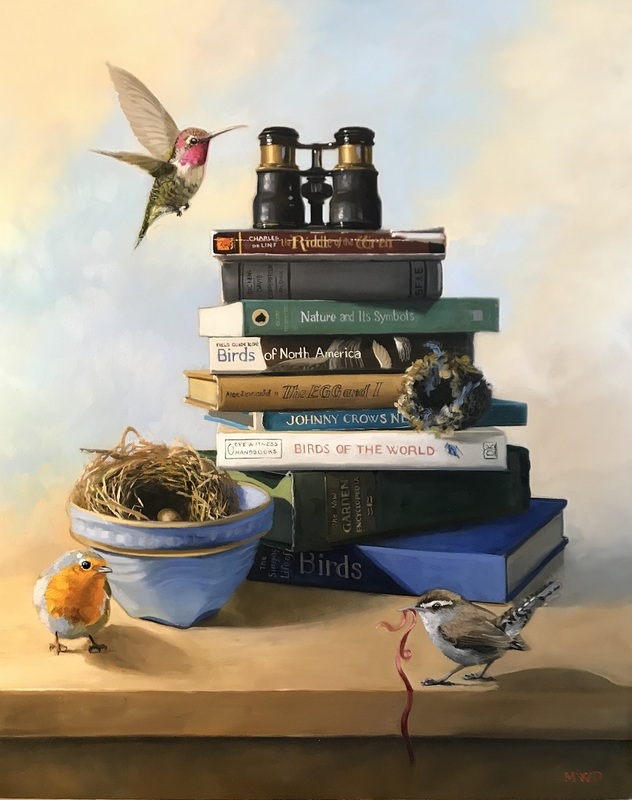 Michelle Waldele’s still life paintings are breathtakingly beautiful, vivid in saturated color and imagery, and each one tells a story, whether whimsical or filled with natural life like hummingbirds or finches. 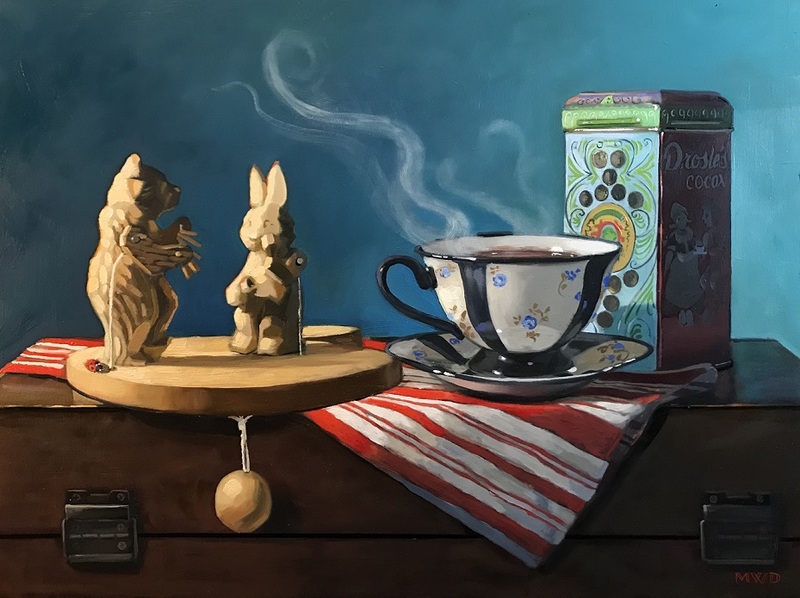 In this 3-day workshop, Michelle will teach you how to create a still life narrative, arranging whimsical compositions using your cherished treasures from home. This workshop will be great for experienced oil painters. Hmm, that’s nice… but lacks the excitement factor, right? But when you attach the word “whimsical” to that definition, it opens up a whole world of fun and fantastical possibilities! 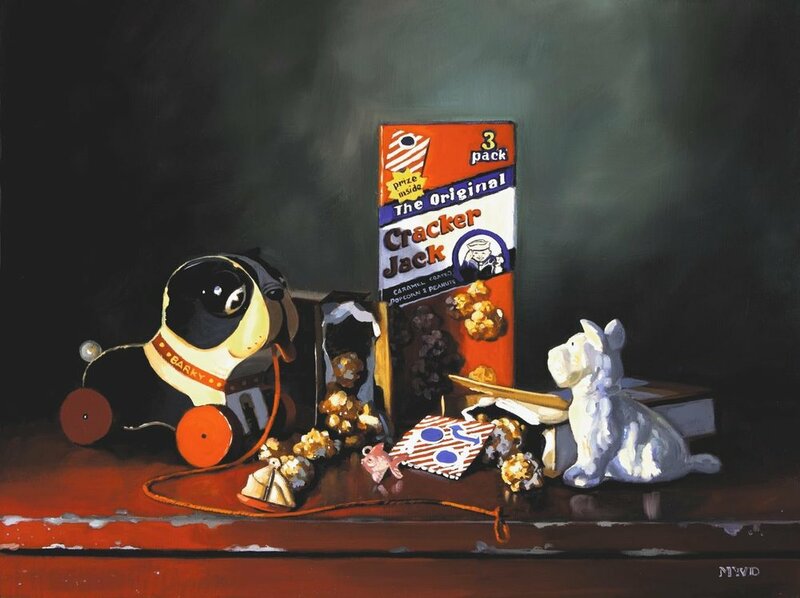 In this workshop we’re going to literally play with our still life! We will explore the art of whimsy, Michelle-style. With a collection of your favorite fun items you will bring from home, each of you will build a composition that sparks the imagination, brings a smile, or creates a visual pun on words. With our treasures, we’ll experiment with dramatic lighting and backgrounds, using strategic color combinations, adding in a creature or two to add a spark of life. After getting a sketch on canvas, we’ll prep for painting. You’ll learn about modeling convincing forms, color and light, with Michelle demoing as she teaches. On Sunday we’ll refine the painting, add details and talk about using glazes to tweak colors, value, and add some glow to the overall painting. Above all this workshop is all about having fun with your art! Note: If you have brushes you work with and feel comfortable with you may substitute those for the ones on the list. 1 pre-gessoed Stretched Canvas or Wood Painting Panel in your choice of 11x14, 12x16 or 16x20. For canvases, Fredrix’s pre-gessoed canvases at ARTspot will work fine. 2 12-16oz glass jars with lids. Check this out! ARTspot Concierge Service. ARTspot will personally do your shopping for you! They can set aside the materials you need, ready for pickup - they can even deliver your supplies to Cole Art Studio before your class. Call ARTspot at 425-640-6408 for this great service. Note: To ensure your order can be filled, please order as early as possible.